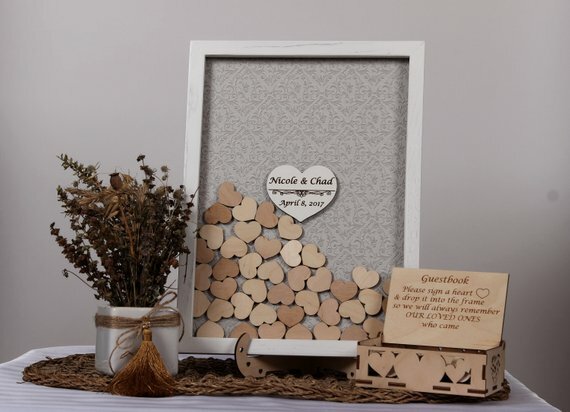 It’s often said that the photos, dress and invites are the only things left after your wedding… but there’s another keepsake from your wedding day to put some thought into: a wedding guestbook. 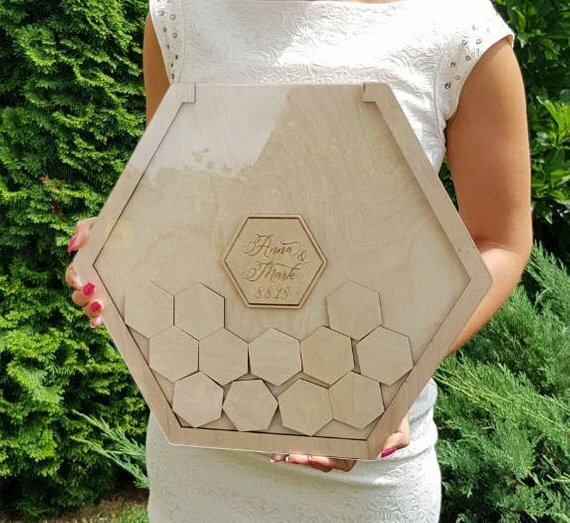 You can opt for a traditional personalised guestbook that ties into your wedding day stationery, pick something a little more alternative, or find a guestbook that can doubles as a piece of art for your home. 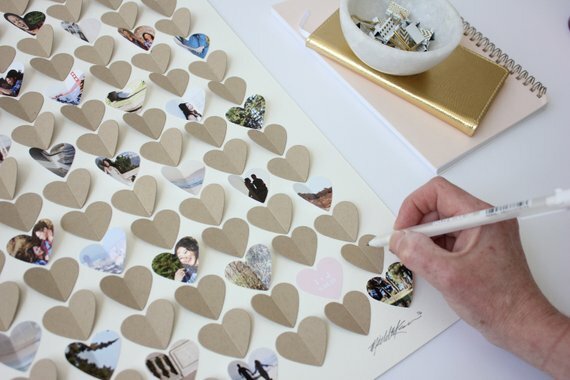 We’ve come up with 25+ ideas to help narrow down your wedding guestbook search. 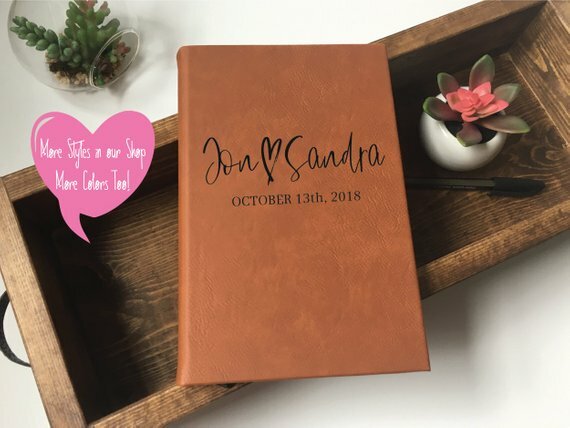 You are going to be keeping (and probably displaying) your wedding guestbook for years to come, so you want something that looks amazing now and in the future. 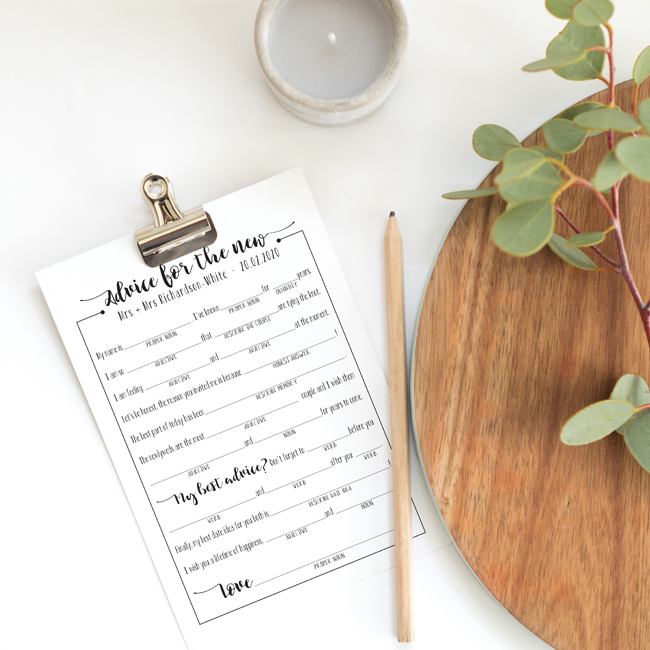 Of course, ‘amazing’ means different things to different people, which is why I’ve pulled together a variety of wedding guestbook ideas for you today (including where to buy them – all the included guestbooks are either made in New Zealand or can be shipped to NZ). 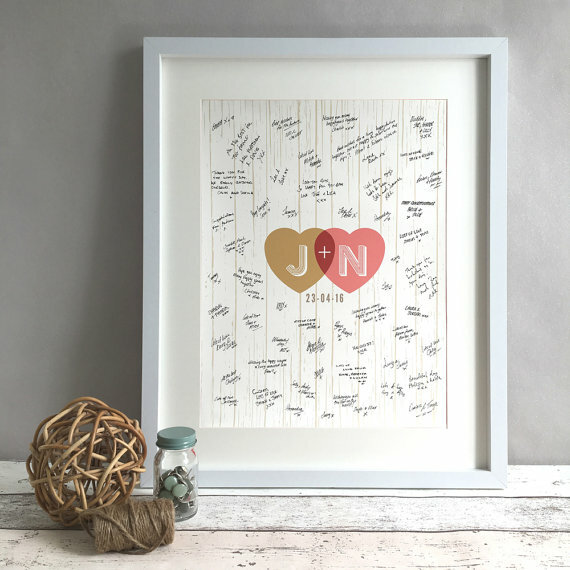 Can it be personalised with your names and wedding details? 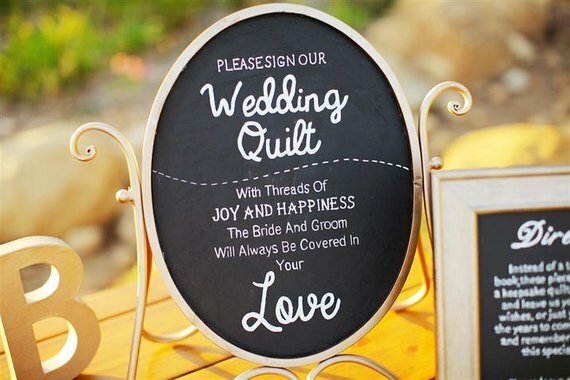 How will you encourage wedding guests to sign it? There’s no point having a guestbook if only one or two people get a chance to sign their well-wishes! 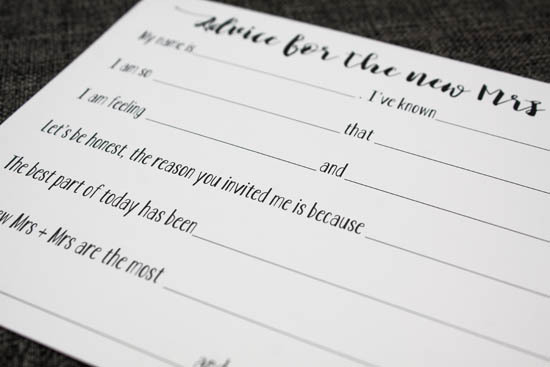 Ask your MC to encourage your wedding guests to sign – or get the bridesmaids to take it around tables and ensure everyone’s had a chance to leave their message in your chosen guestbook. 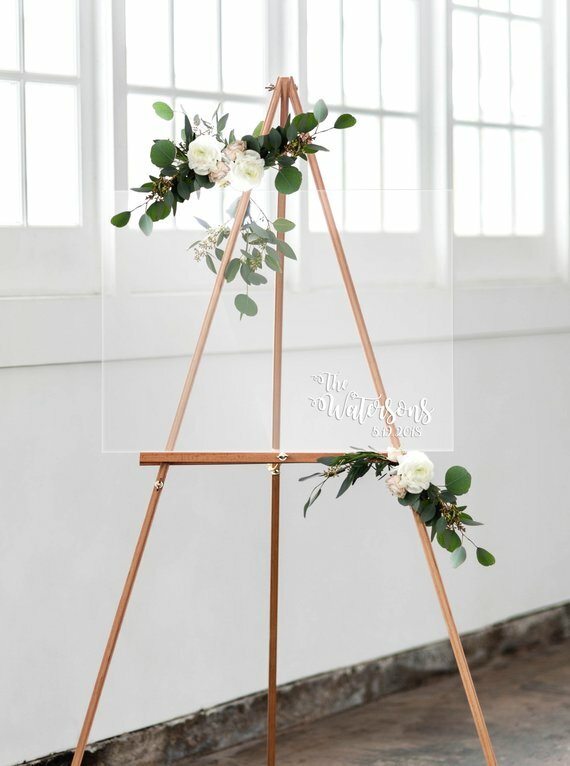 Get a sign (like the above) to make it obvious what you want guests to do! While I’ve headed up this section “traditional guest books” – many of them are only traditional in the sense that they’re books! You no longer need to be restricted to naff range at your local stationery store. 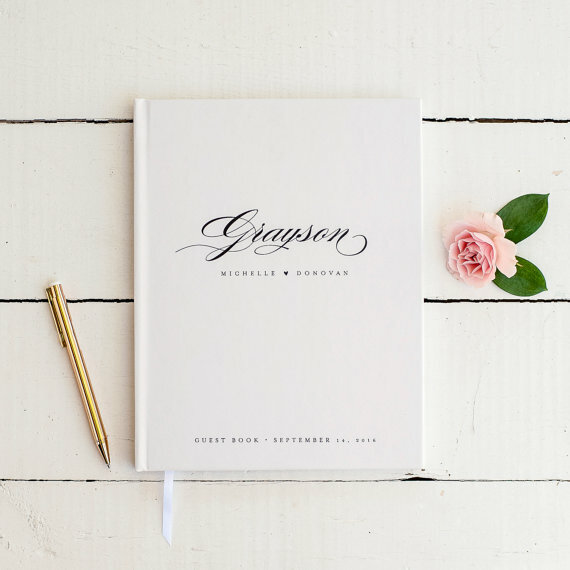 Instead, personalised, customised wedding guest books are easy to buy and affordable for most wedding budgets. 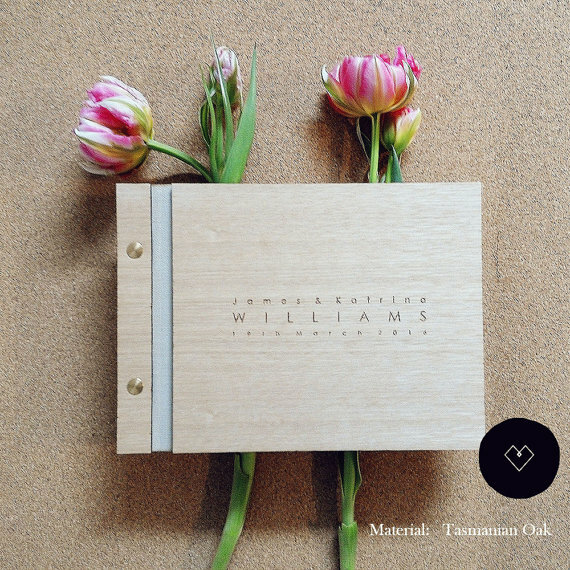 These beautiful modern wedding guest books are personalised with your names and are a casebound hardcover. Swoon! You can grab gold, silver or copper raised foil. 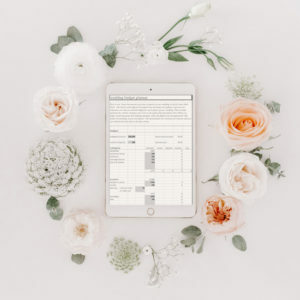 For something a little closer to home (and therefore faster to ship), Southern Bride Verified member Be My Guest creates personalised wedding guest books. Added bonus: they can double as a photo album if you have a photo booth. 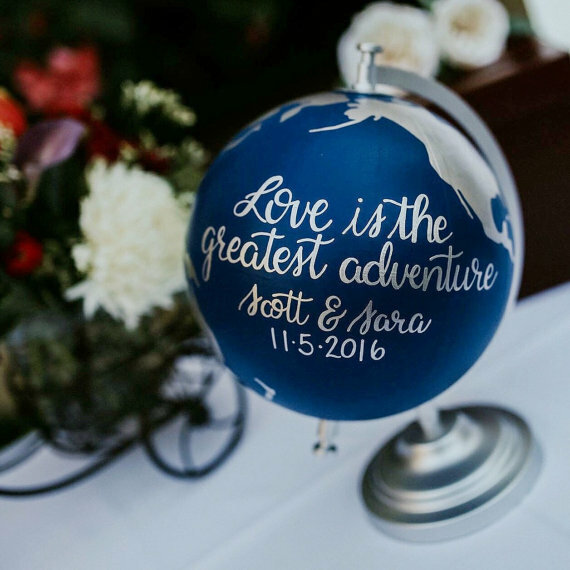 For the couple who’ve had to travel half the world to meet each other, this wedding guest book is a lovely sentiment. You can select different countries to be lazer-engraved on the front, representing your respective homes. 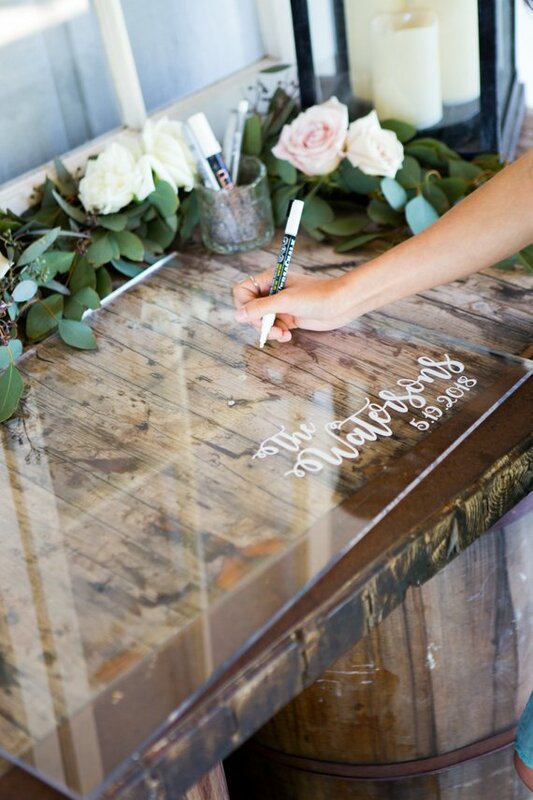 This option is a traditional, elegant option for your guestbook. Simple yet gorgeous. There’s also charcoal and dusky pink cover options available. 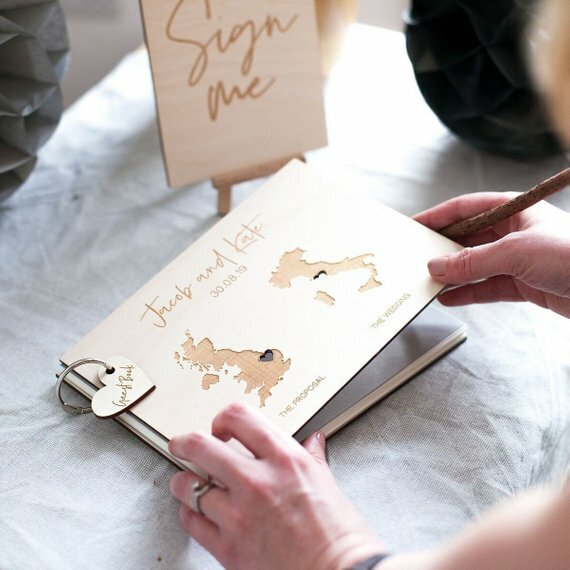 Add a touch of masculine luxe with these leather personalised guestbooks. Lined inside and with a range of colours and fonts available. 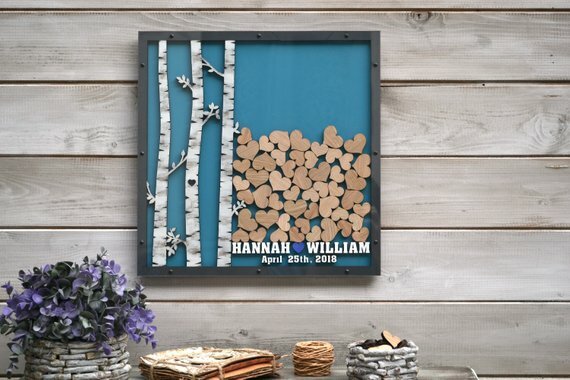 Rather than stashing away your guestbook in a cupboard to flick through every few years, why not select something that can double as a piece of art? 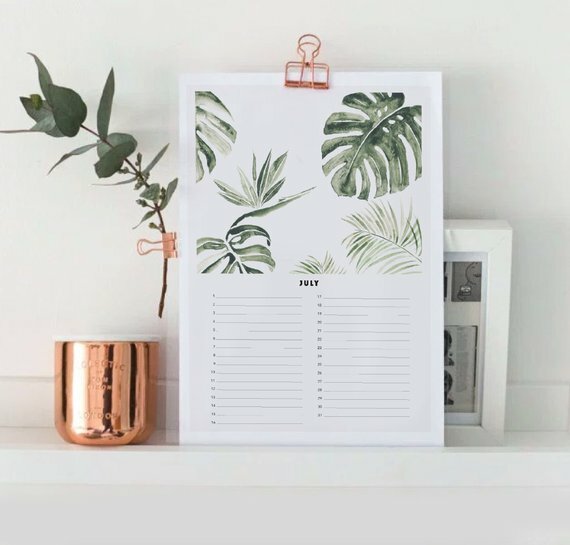 Often couples are setting up their homes right about the time of their wedding, and what better way to personalise your walls with a piece of art created by your nearest and dearest?! 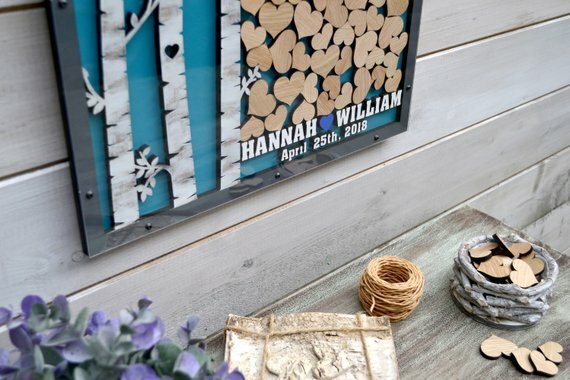 This beautiful frame incorporates wedding photos with hearts signed by your guests, to become a modern piece of art. 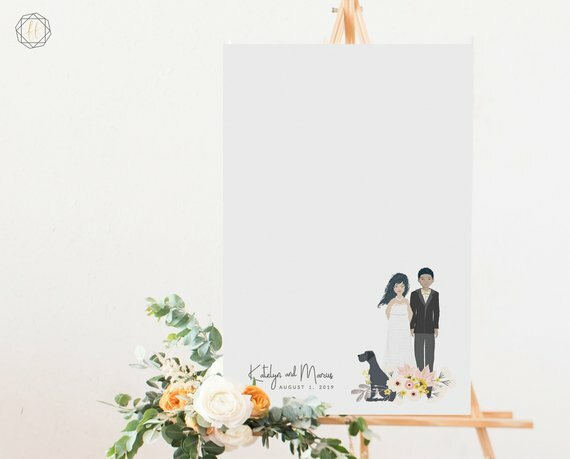 The next guestbook comes with a personalised illustration of the happy couple and you can even include a cat and dog! 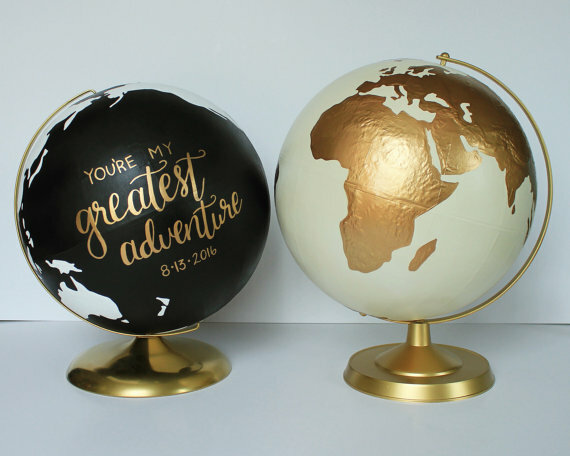 This beautiful wedding globe would be a stunning piece of art in any home – but especially if you’ve travelled half the world to meet your partner. 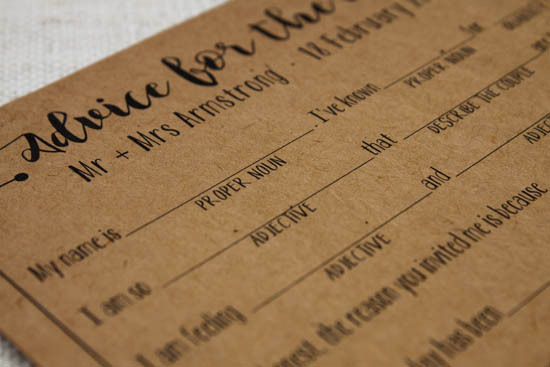 They are customised to include your wedding colours, and you can pick the quote that’s hand lettered on the side. These posters are a cute way to get everyone to sign a short message. 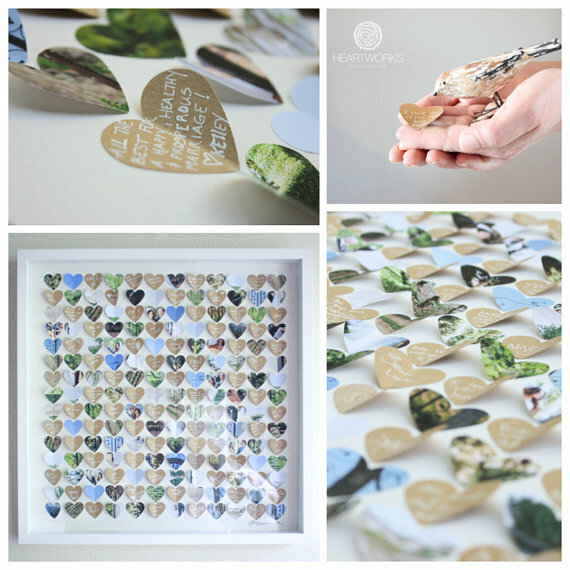 These posters are personalised with your initials and wedding date, plus you can incorporate your wedding colours. 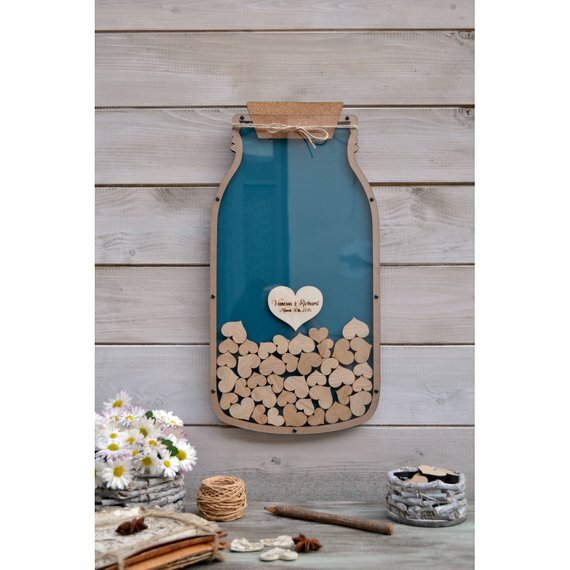 Or this set of silver birch tree trunks and hearts could be adorning your walls. I’m sharing some more cute ‘dropframe’ ideas soon. 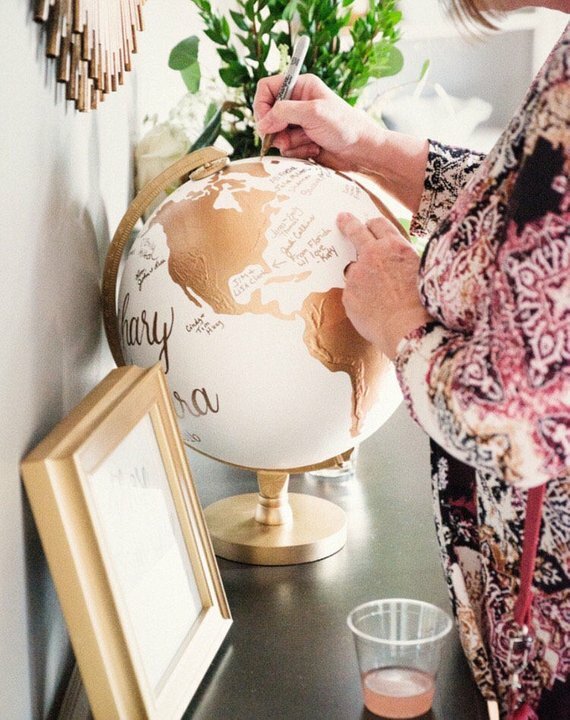 This guestbook does double duty! 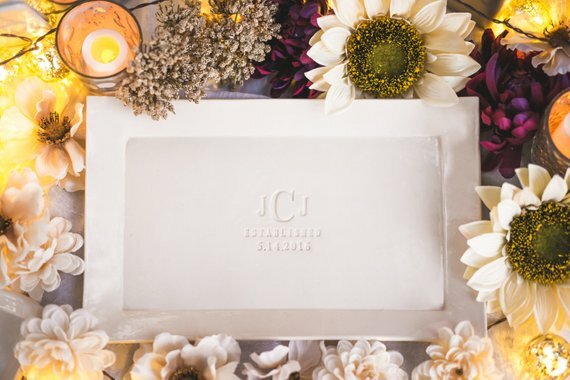 The clear acrylic with white lettering can act as a welcome sign for your wedding ceremony. 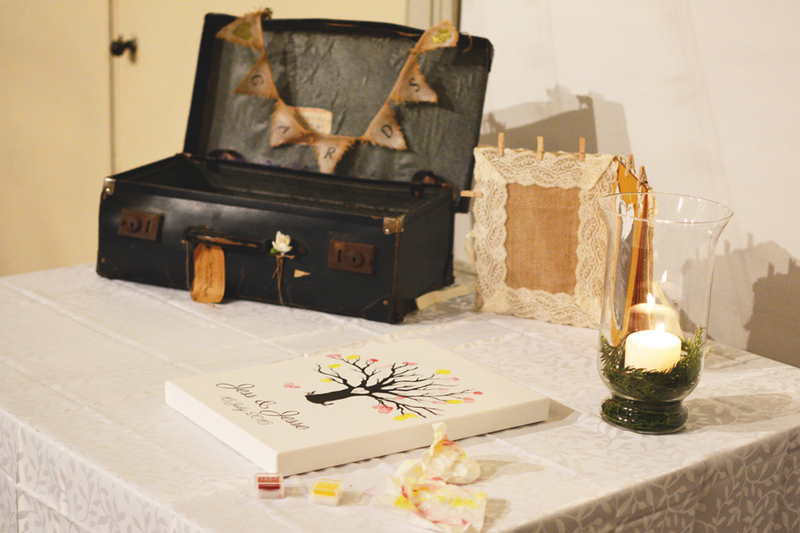 Then move it into the reception and it transforms into a modern wedding guestbook alternative. 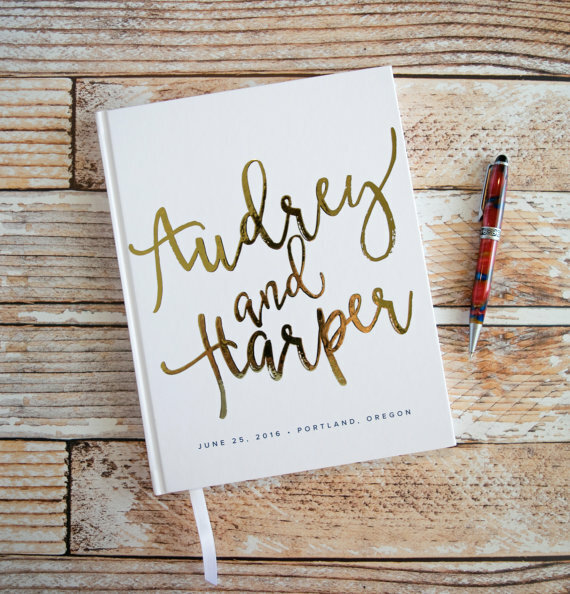 If you’ve left getting a wedding guestbook late, don’t panic! 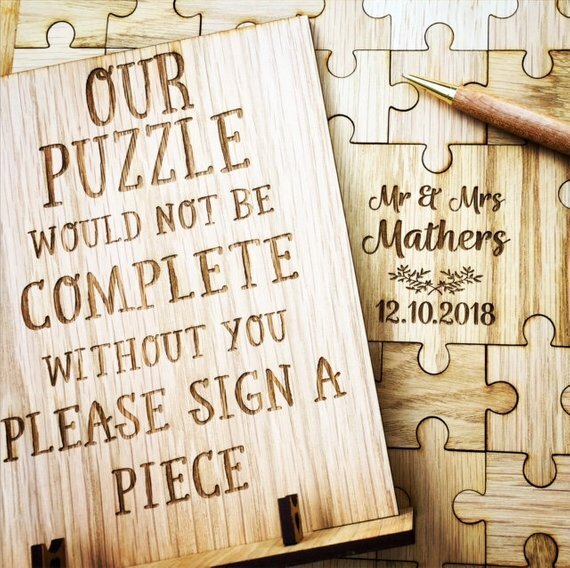 Yes it will narrow down the options available but there’s still plenty of guestbook alternatives available with a fast turnaround. 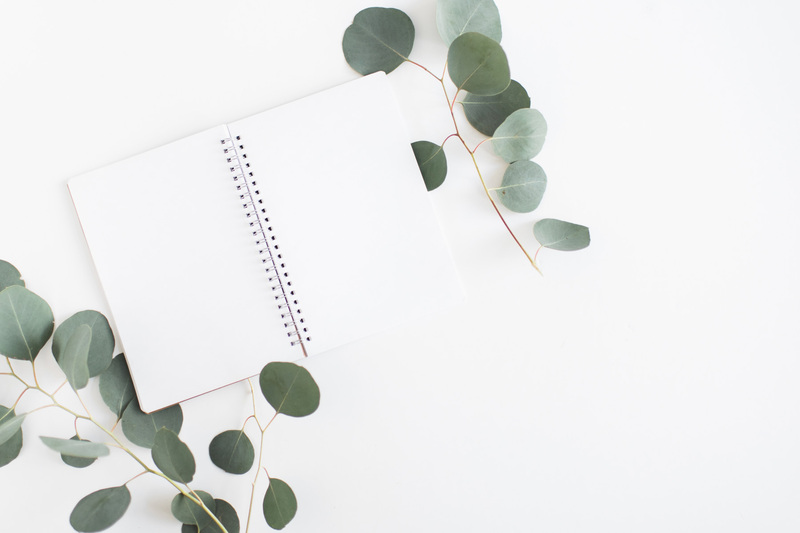 You might have to do a quick trip to a print shop or Warehouse Stationery, but is possible to sort your stationery at the last minute. 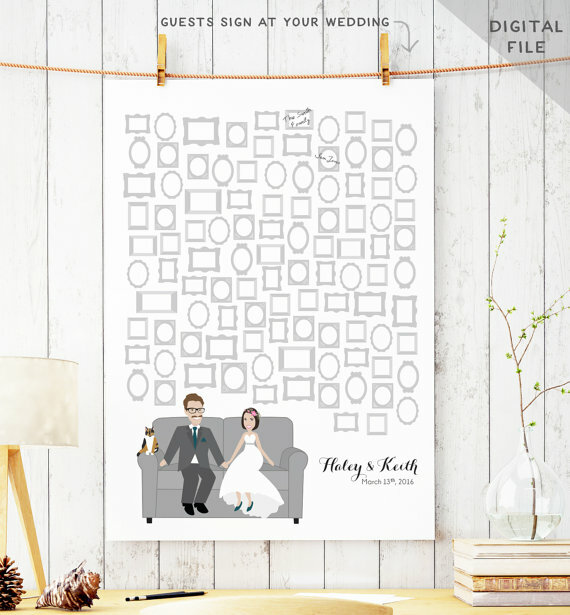 This printable wedding guestbook is a digital file – so no waiting for shipping! 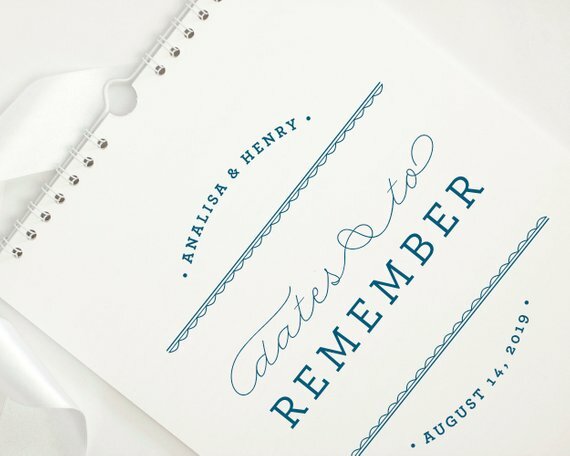 Here’s another wedding guestbook poster, designed and made in New Zealand by Be My Guest. 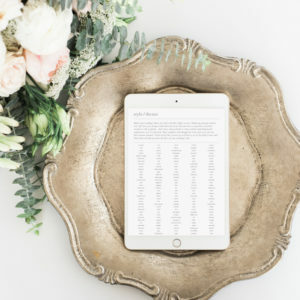 The wedding guestbook thumbprint tree by Be My Guest is another option that you can arrange in a hurry – with an instant download you can edit and print. (Alternatively, if you have the time, get it printed onto canvas, like Jess did below. See more pictures from Jess’ wedding here). These dropframes are becoming really popular. 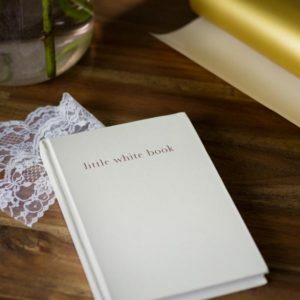 They are usually covered in a clear plastic and personalised to include your names and wedding colours. The handy thing is that only signed pieces are slipped into the frame, so you don’t have blank pages or gaps. If you’re using mason jars in your decor, this mason jar dropbox could be ideal for your guestbook! You can change the background colour too. 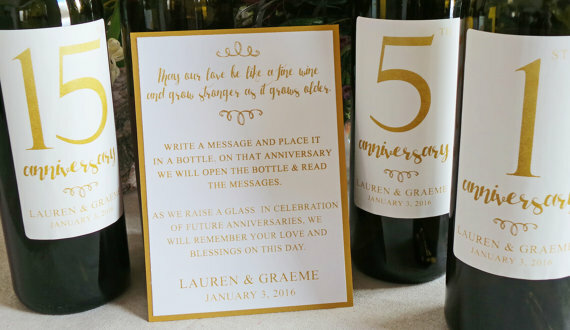 Instead of a traditional guest book, open a bottle of wine as you reminisce on your anniversaries as you read your guests’ well wishes from your wedding day. 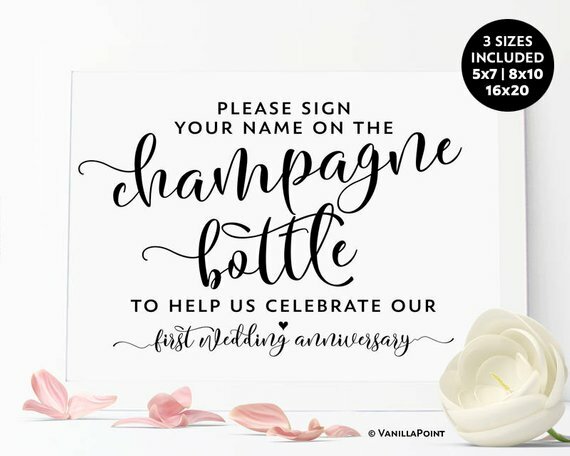 Have your guests sign your bottles of wine and leave a message. 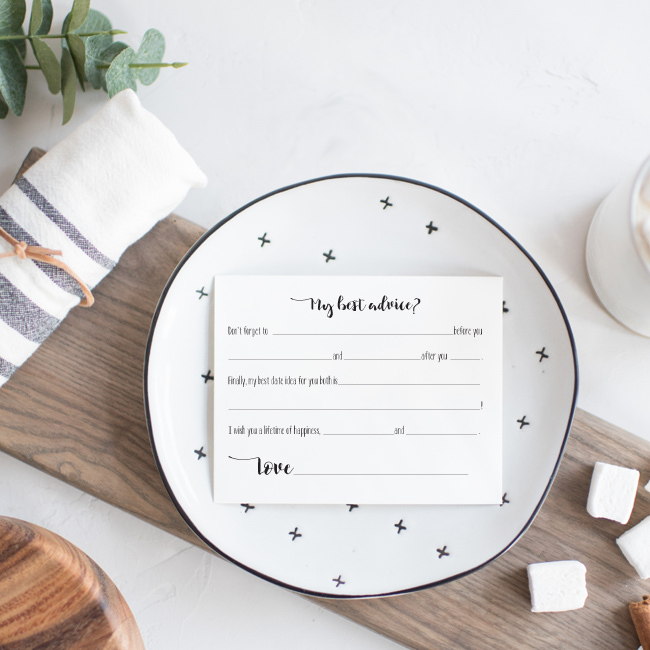 If you love cooking and life is centered round the kitchen, a large white ceramic platter could be the guestbook idea you’ve been looking for. This one has been personalised with the couple’s initials and wedding date. 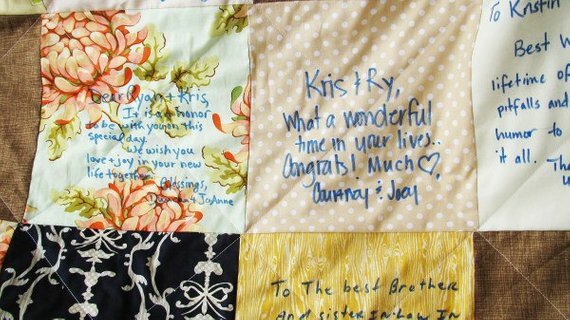 If you’re the crafty type, creating a beautiful heirloom quilt with squares that have been signed by each guest could become a very special wedding guest book. 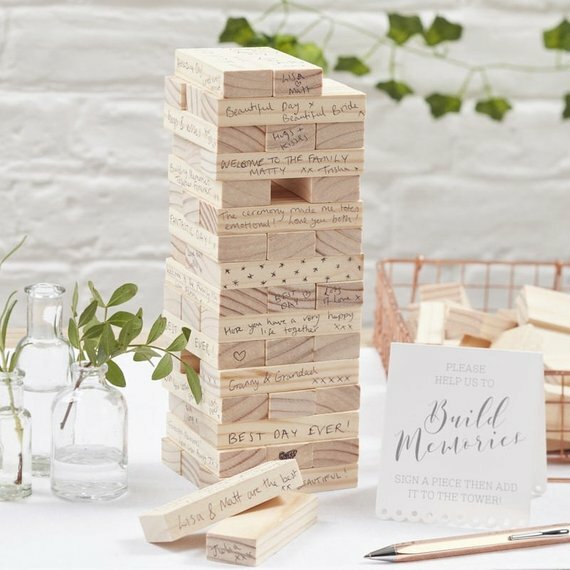 A personalised wedding jenga set is an awesome wedding guest book alternative! Let’s be honest, the reason you invited me is because______________________________! My best date idea for you both is__________________________________. 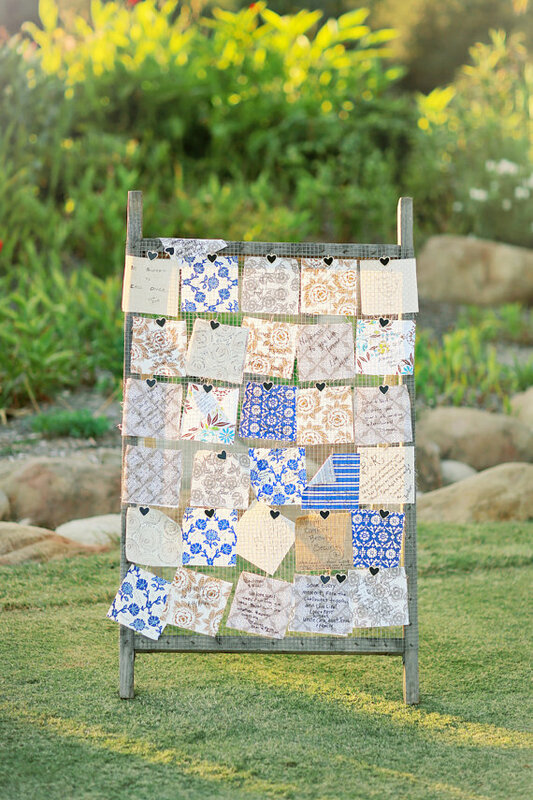 So there you have it – a ton of different guestbook ideas for your wedding. I’d love to hear your ideas if you’ve come up with something different. 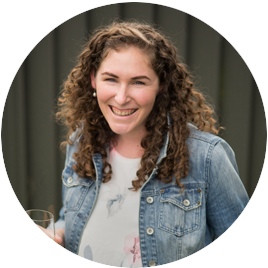 Please pop your thoughts in the comments area below, or if you’ve recently got married, tag your guestbooks on Instagram #southernbridenz so we can have a nosey! Love all the ideas…such a hard task to choose one. like the one below too.